It was a close game throughout, tied with three minutes to go in the game. DC’s Alan Kolick, likely the Eastern Conference MVP, blocked a pass just outside their end zone to dash the Spinners’ hopes. The Current won the game by two, 21-19. 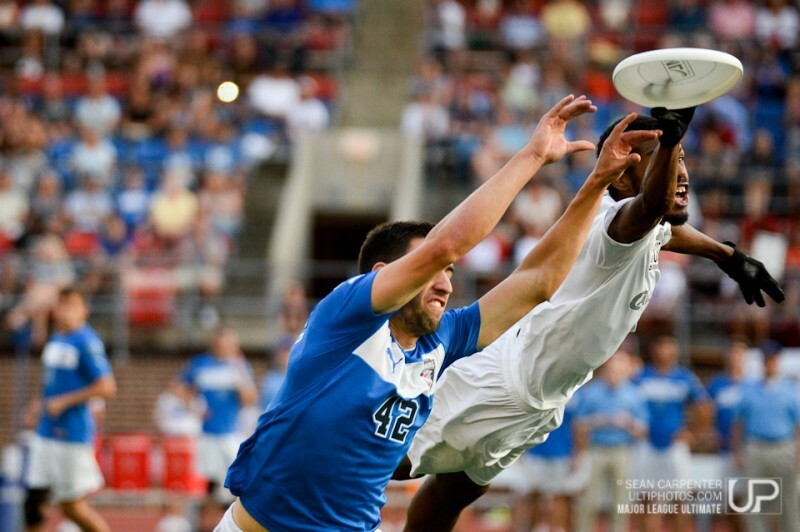 Philadelphia, PA: Delrico Johnson (DC Current #4) lays out for a defensive stop over Marcus Ranii-Dropcho (Philadelphia Spinners #42) at the Major League Ultimate game between the DC Current and Philadelphia Spinners, Saturday June 21, 2014. Support our ultimate photography by purchasing a print or ordering a download, starting at just $3! Check out the Highlights by me and Brian Canniff.